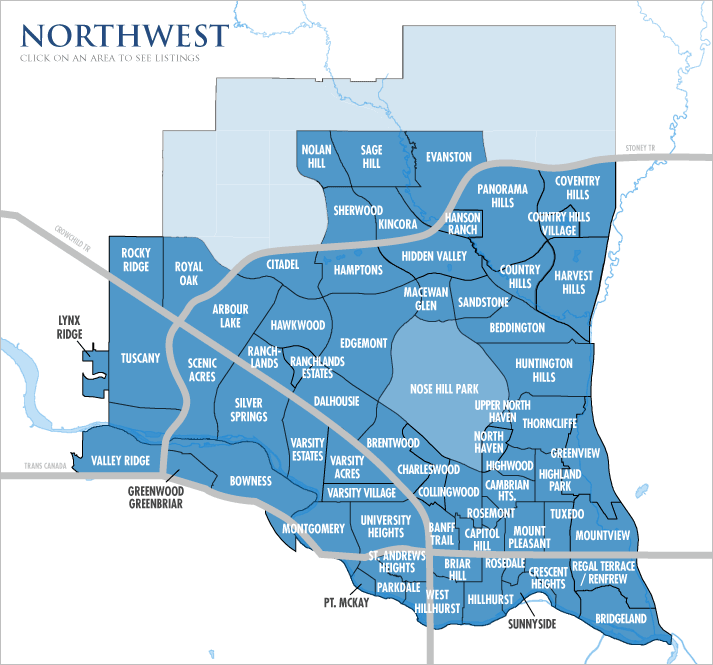 Most of the Northwest quadrant is made up of the area west of Centre Street and north of the Bow River. However, this area also includes neighborhoods south of the Bow River like Bowness and Greenbriar. Popular neighborhoods in this area include Sunnyside, Edgemont, West Hillhurst, County Hills, Rosedale and Dalhousie.